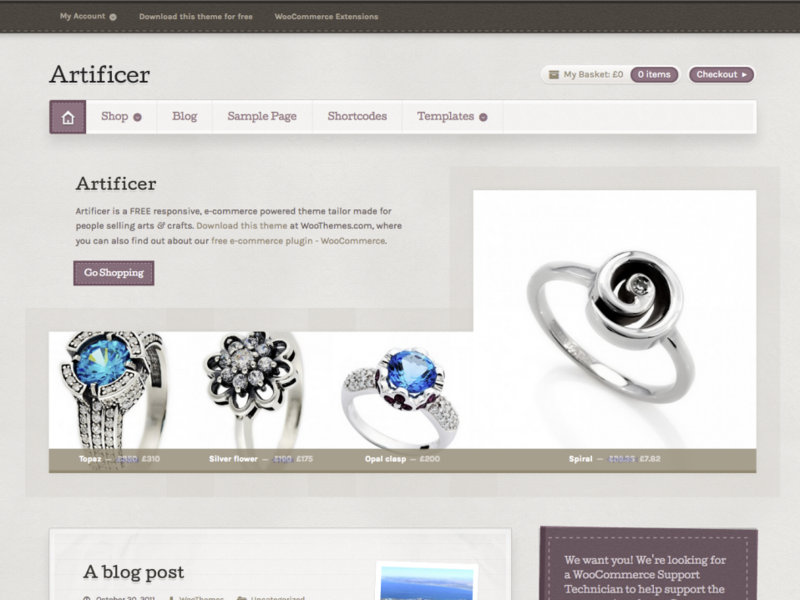 As you’d expect, Artificer makes full use of all of WooCommerce features. We’ve painstakingly married theme and plugin to provide a seamless front-end experience. Every single one of WooCommerce widgets has been lovingly styled to match the beautiful design, as has each key component of the plugin such as the product categories, product descriptions, cart, checkout and user account sections. Read all about the benefits of WooCommerce here. We’ve included two custom shortcodes in Artificer. A sticky note which you can use to highlight a message on your site, a sale banner to notify users when you’re running special offers and an easy way of displaying ‘mini-features’ – columns of content accented by iconography.